Easy to carry-allows length extend from 5.9" to 19.3"
A pole you must have. You can make all kinds of angles and the pole still remains stable. Highly recommended! Very useful when you want to put the camera in places asymmetrical. This is by far the best pole out there! Theirs so much you can do to get the best shot possible, I would 100 percent recommend this, so many ways to use this and adjust it just right for your preference. Very adjustable, many options, works very well. 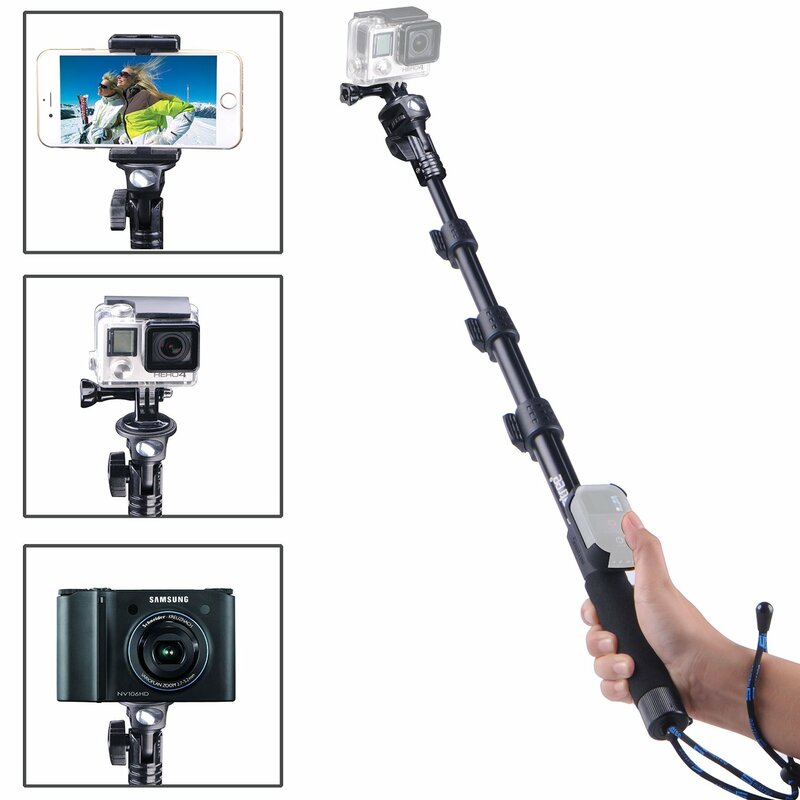 Much better than a "selfie stick"
This is one of those items you look at and think will it be useful and is it worth buying. I have the GoPro 3-in-1, which is excellent BTW but I wanted something smaller and lighter that I could just grab and stick into my pocket. Previously I used my GoPro floaty which was nice and short and light but a bit limited in what it could do. I decided to buy and try this and if it wasn't right just return it but as soon as it arrived and I had a chance to mess around with it I realised that this was a keeper. Its short when fully folded and gives some useable extension. 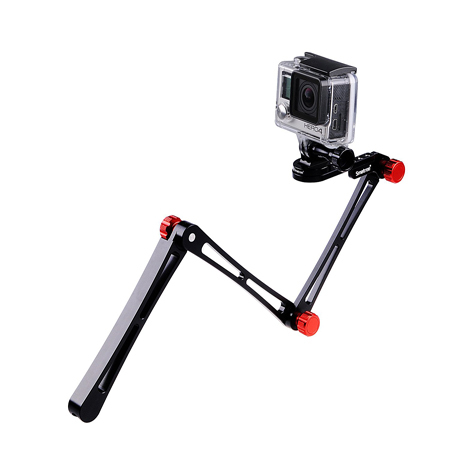 It is similar to the GoPro 3-in-1 in the ways that it can be configured and although it is not quite as stable as stable as a tripod, it can be used to support a camera for short periods as it is wide enough to be stable when folded. Each of the joints have a series of intermeshed teeth that makes the joint rigid once the thumbscrew is tightened and their is even a small spanner supplied if you need to really apply some pressure although I found that hand tight was good enough in most situations. 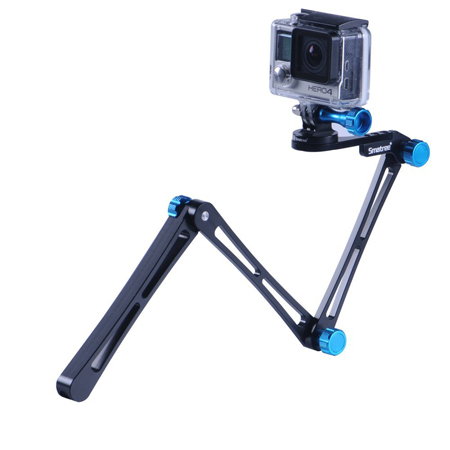 Instead of the standard GoPro mount this is fitted with a 1/4" tripod thread to which a supplied aluminium GoPro mount can be attached. This arrangement allows for a 360 degree swivel. The metal finish doesn't provide the best grip in the world but a screw in wrist strap is included which attaches to a tripod thread in the base of the handle section. 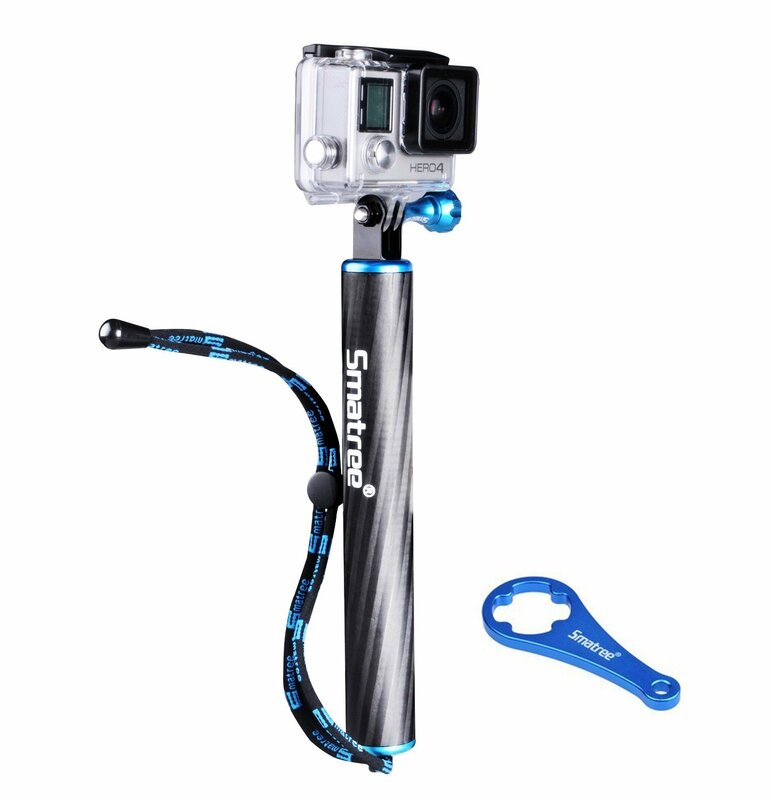 Overall, this product just oozes quality and at a price that should make GoPro feel ashamed of what they are offering for more than double the cost.